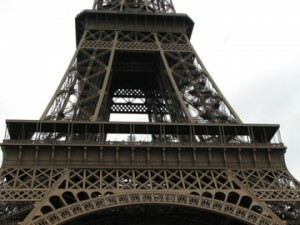 Eiffel Tower, Paris, France - A very dog-friendly destination! Dogs are now becoming true four-legged globe trotters as more and more airlines, hotels, and resorts change their policies to allow our small friends. Our dog Bodie has been to over 12 countries so far – mostly in Europe – as well as to a dozen U.S. states. It’s not always easy finding accommodations that will allow him, but that is why I am here to help! Please contact me if you would like assistance in planning your next adventure, with or without your best friend! Amsterdam – An ultra dog-friendly city! Barcelona, Spain – A small dog has a holiday of firsts in the beautiful city of Barcelona! Hawaii – Dogs (and other pets) can now be brought into Hawaii without having a long quarantine! La Quinta Inn and Suites – Located across the country, this hotel chain offers affordable (and reliable) pet-friendly accommodations. For a full list of all pet-friendly destinations we’ve covered so far, click on Dog Friendly Destinations in the main menu (above). Great site!! This is a wonderful idea for all dog lovers who also love to travel! I wanted to let you know that Greenville, SC is a great place with a wonderful dog friendly downtown. This downtown also has a mainstreet store called Barkery Bistro. Thanks again for all the great tips!